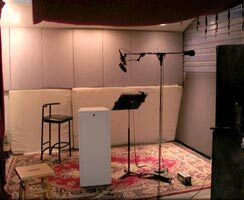 Translation Services USA now provides voice actors which can provide voice-overs in all major languages. In fact, our company offers voice-over services in over 100 different languages. Translation Services USA voice actors are native speaking, professionally-trained, translators and editors located in their country. They have translation degrees and years of hands-on experience in their particular language and in their particular field. We’ve developed translation style guides, terminology databases and detailed processes to ensure that our translation projects consistently deliver high quality results. Voice acting is the art of providing voices for animated characters, doing voice-overs in radio and television commercials, audio dramas, dubbed foreign language films, video games, puppet shows, and amusement rides. An individual who performs voice-only roles is commonly known as a voice actor/actress, or as a voice artist.. Voice acting may also involve singing, although a second voice actor is sometimes cast as the character's singing voice.